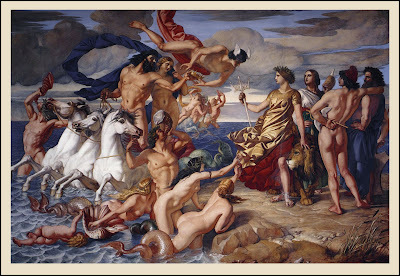 May your year ahead be filled with love, comfort, and loads of wondrous images! 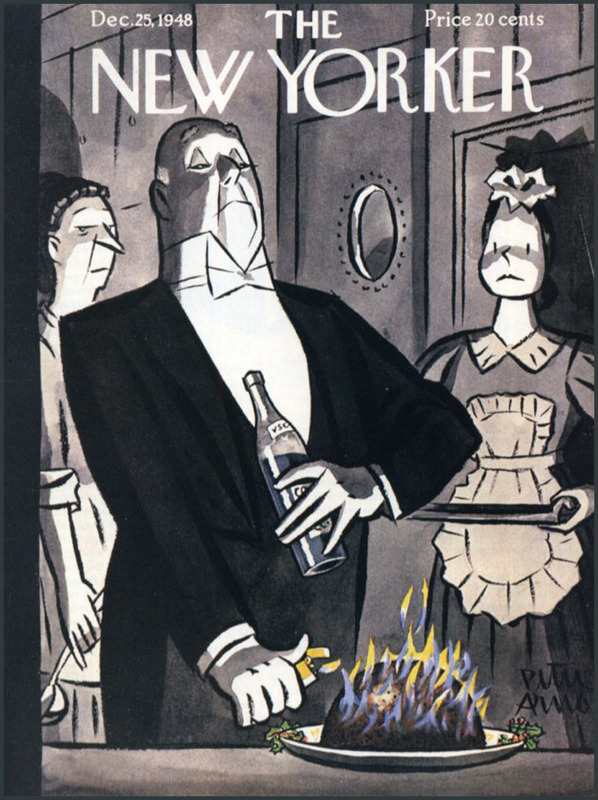 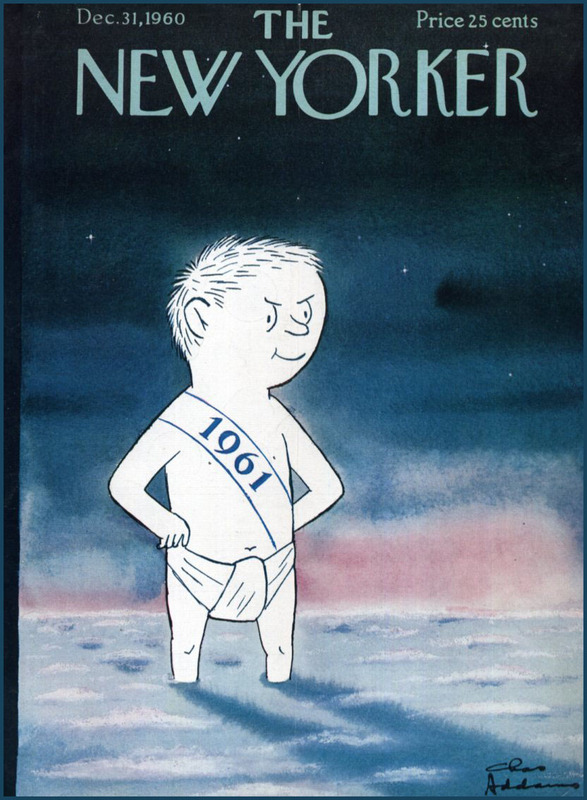 Directly below, I do believe Charles Addams' New Year baby was reflecting the attitude of America, facing Kennedy's New Frontier. 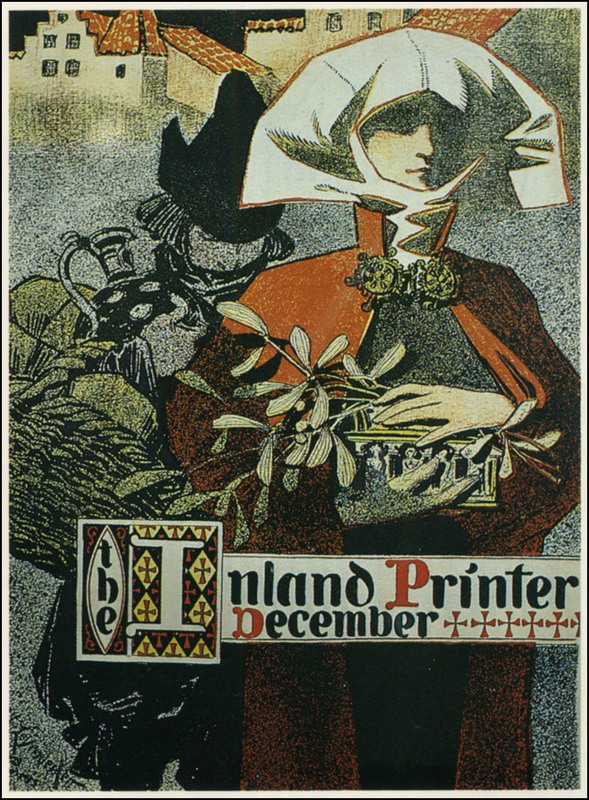 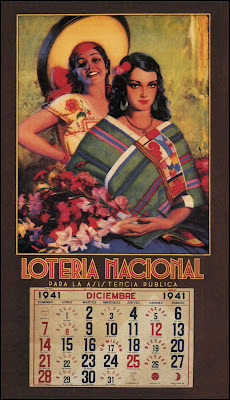 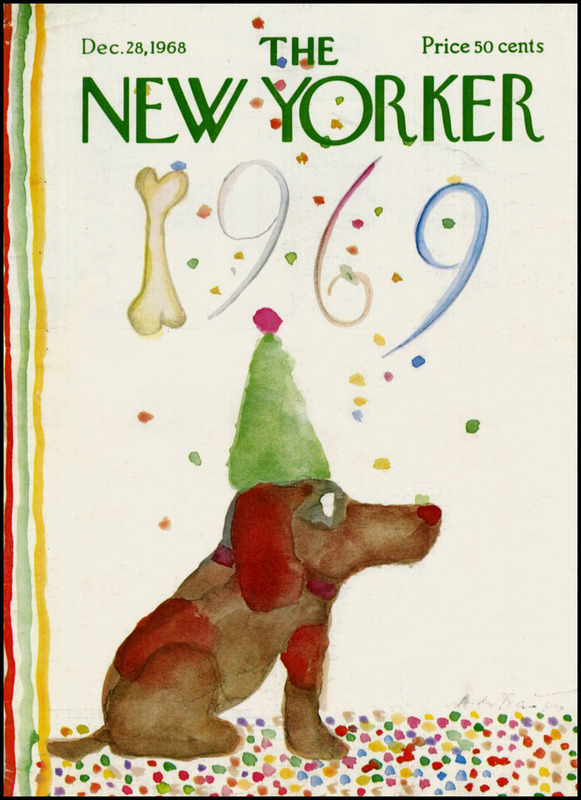 It was the birth, not only of a new year and a new decade, but of a new post-war era. 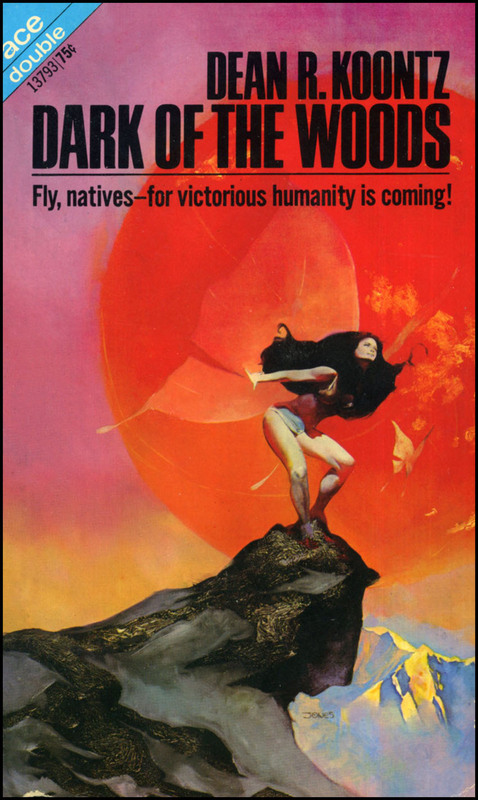 We stand on the edge of a New Frontier—the frontier of unfulfilled hopes and dreams, a frontier of unknown opportunities and beliefs in peril. 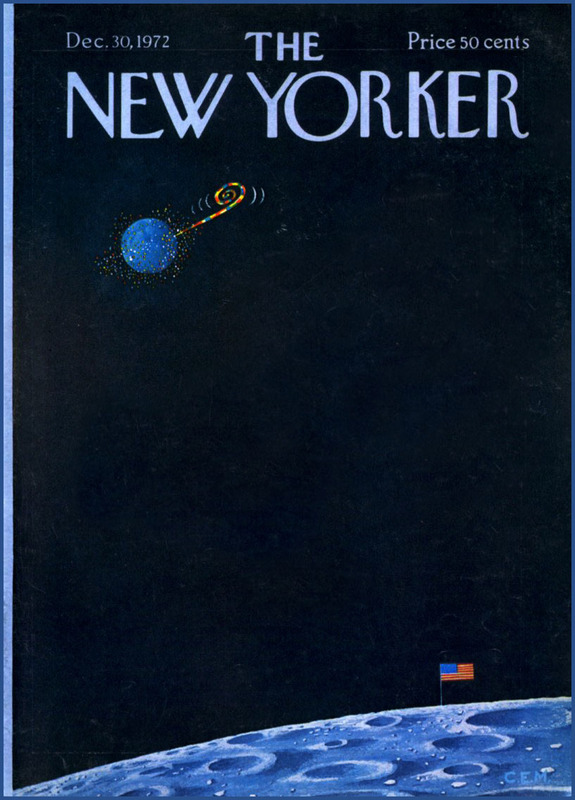 Beyond that frontier are uncharted areas of science and space, unsolved problems of peace and war, unconquered problems of ignorance and prejudice, unanswered questions of poverty and surplus. 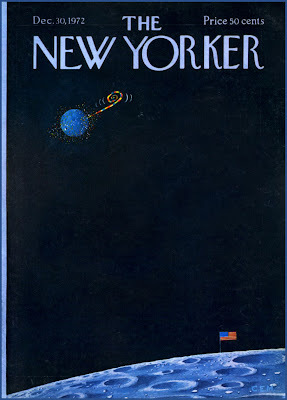 In the words of Robert D. Marcus: “Kennedy entered office with ambitions to eradicate poverty and to raise America’s eyes to the stars through the space program"
Above, somebody always grabs a magazine to solve a math problem. 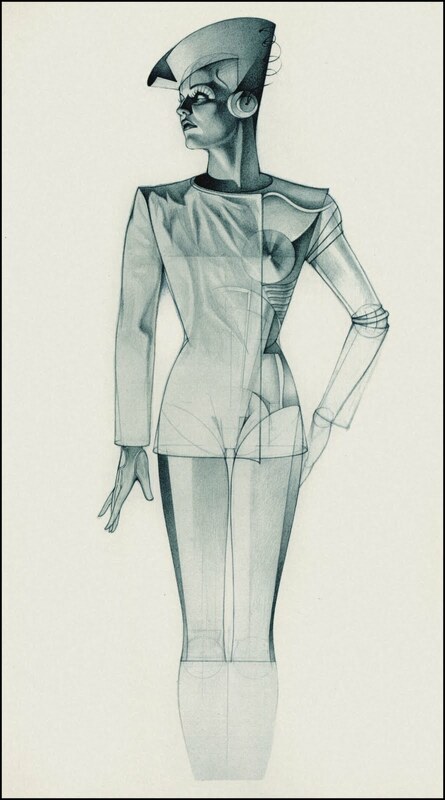 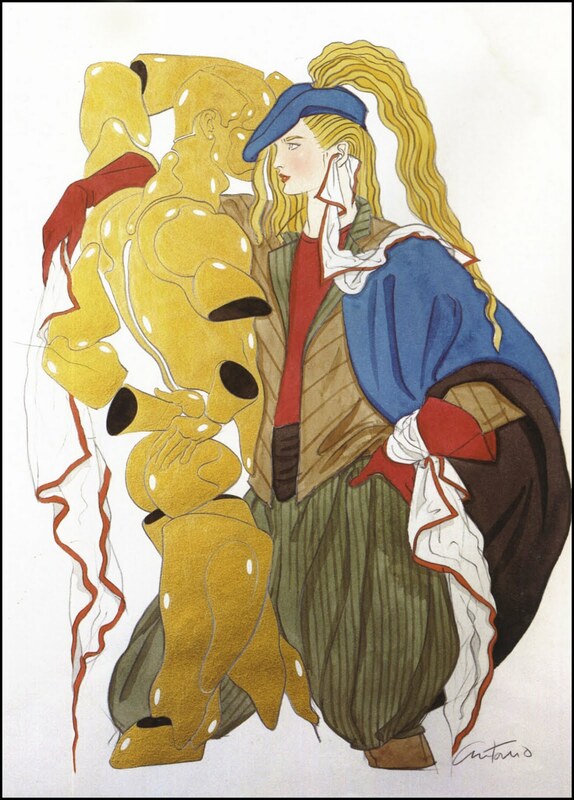 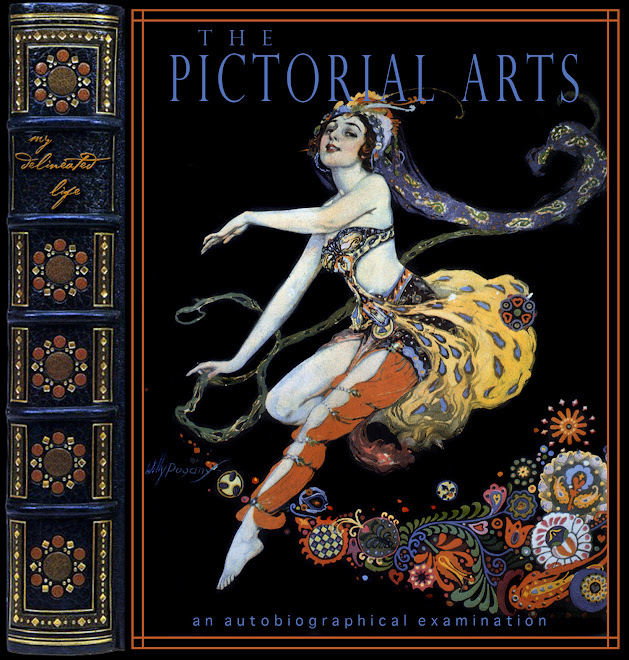 Antonio Lopez, mostly known as just plain 'Antonio', was a giant in the field of fashion illustration, dominating the trade from the late 70s until his death in 1987. 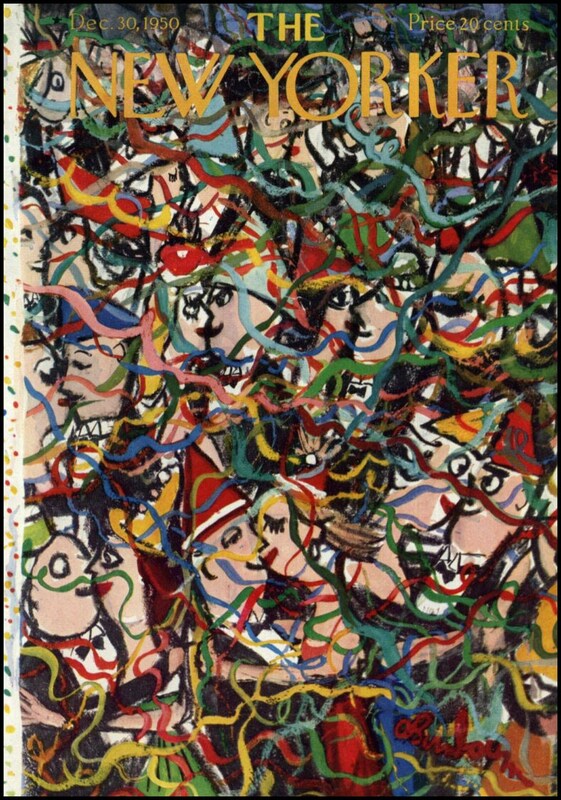 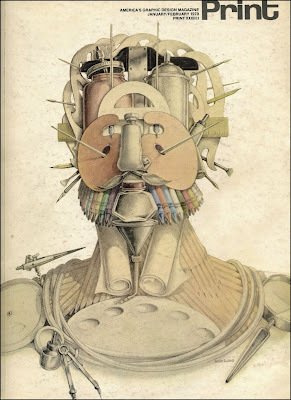 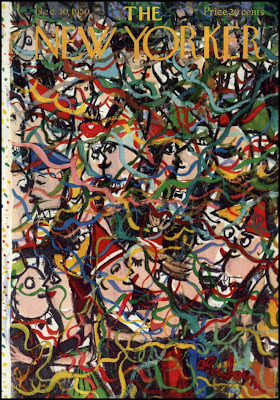 His work was larger than life and many times had a surrealist element to it. 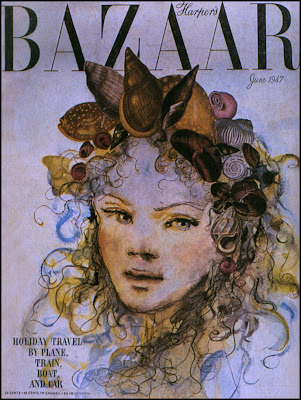 Many times he worked from live models, such as this example of Jerry Hall, and built sets much as a photographer would. I did some fashion illustration in the early 80s, and he was my primary inspiration, even though my style did not emulate his. 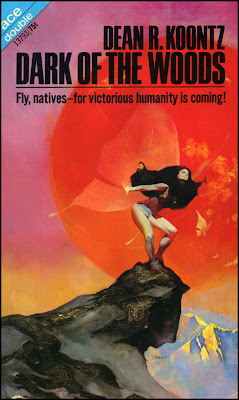 More of his work to show up here in 2011. 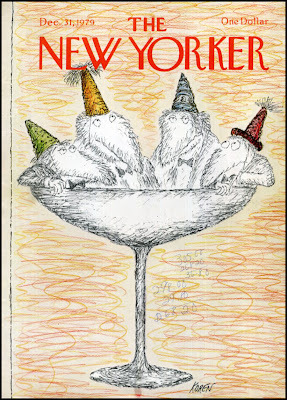 FYI: A new year's a comin'. Just so ya knows. 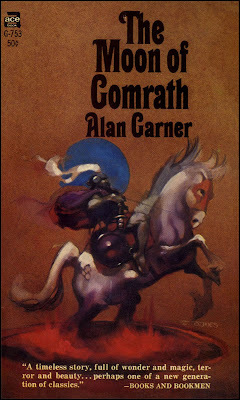 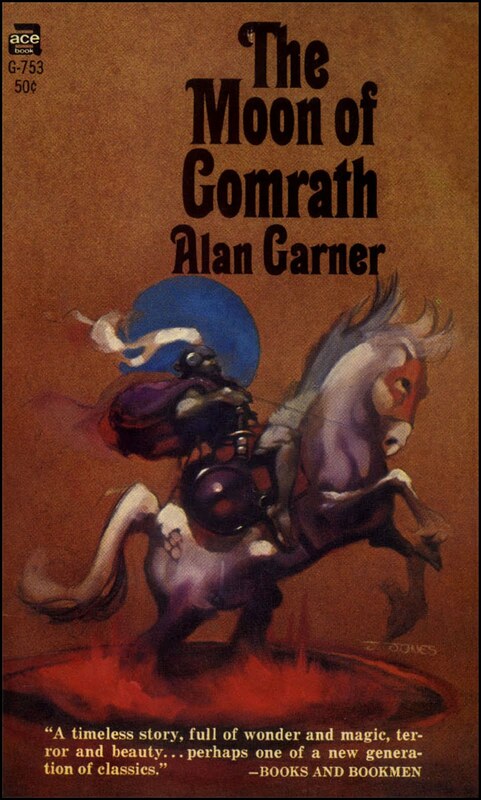 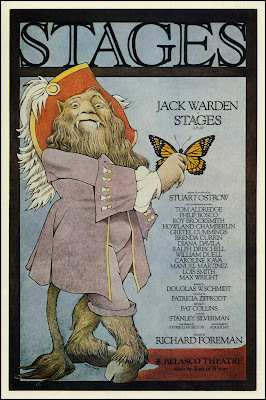 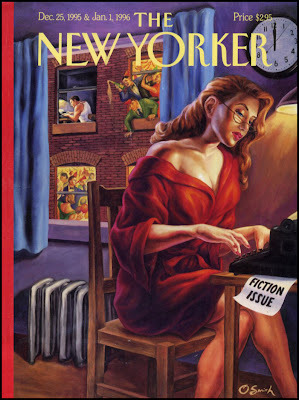 Good Golly Miss Molly, but I miss the days when every third book on the drugstore book spinner had a Jeff Jones, Frank Frazetta, or Roy Krenkel cover. 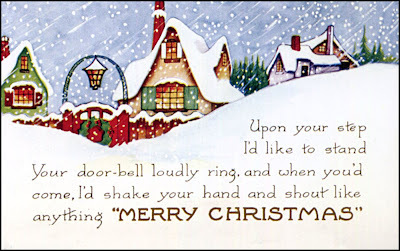 And the stories were fun TOO! 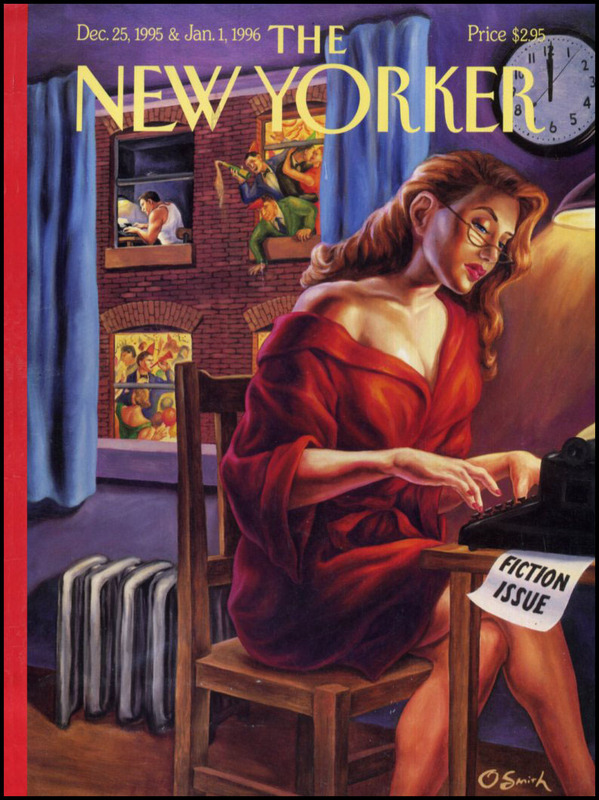 For all you artists out there . . . 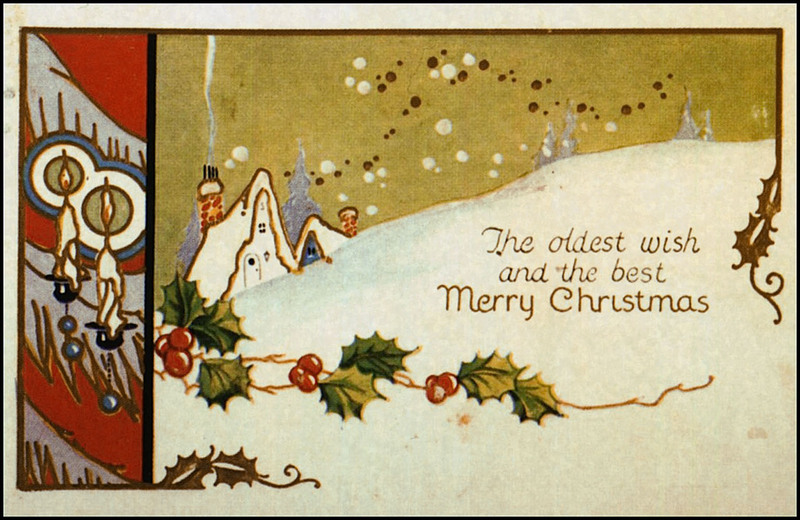 I especially like the crayons in there. 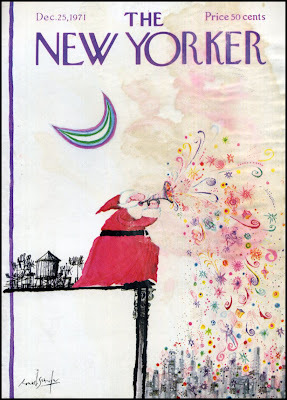 I use crayons a lot. 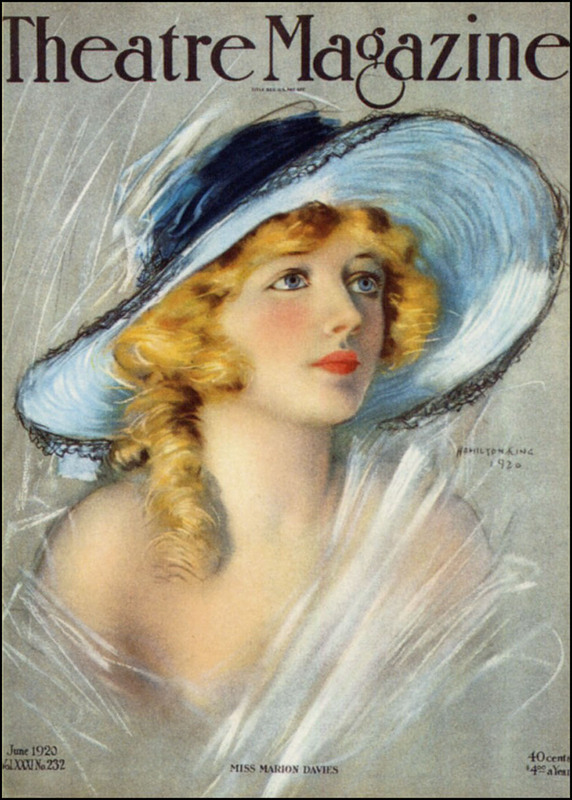 Marion Davies was a major cover girl in her day, not all just because of her association with William Randolph Hearst. Time is running out for the old guy directly below, but I'm going to post it again on January 3rd and it'll be like new. 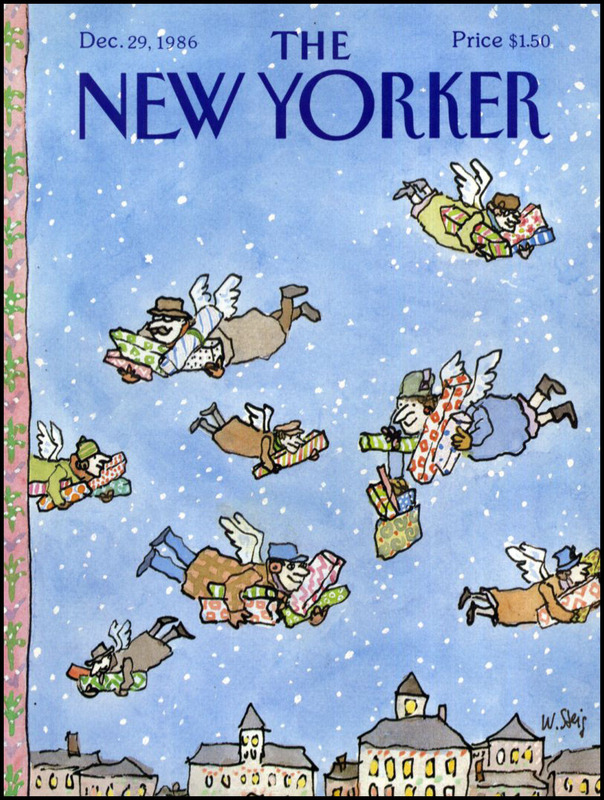 Alright, it's that time of year—Year End Clearance—where I feel I can post individual images with no more explanation than what I know off the top of my head. 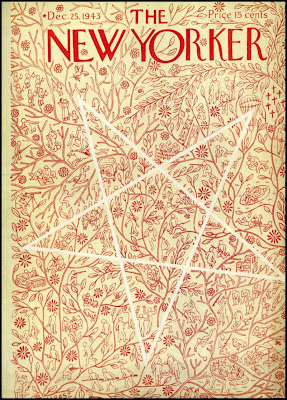 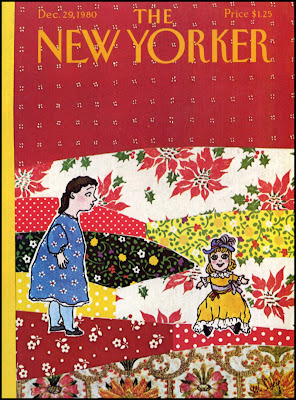 So, for the next week, scattered among the New Yorker covers, will be miscellaneous little treasures that don't quite fit a larger theme. 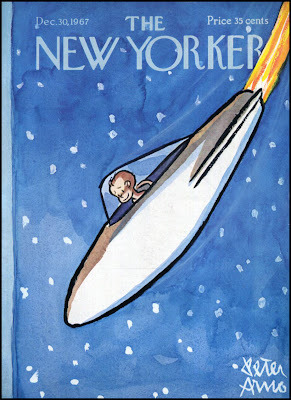 Images that have maybe been separated from their mother ship, so to speak. 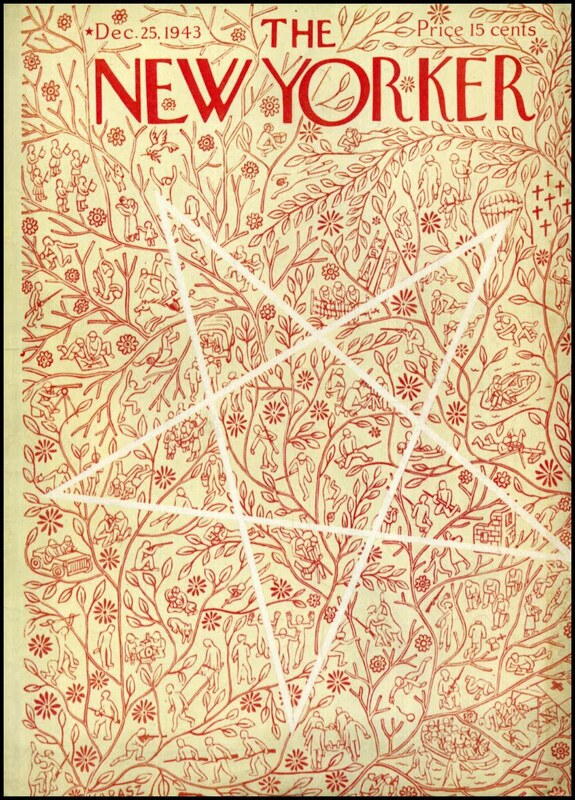 Images that may not be immediately identifiable. 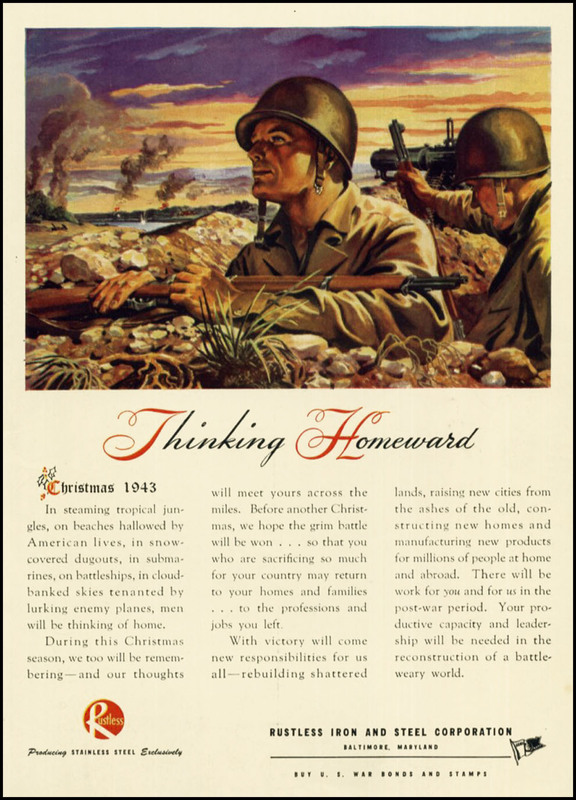 Whoa—Pearl Harbor Day took place in there! 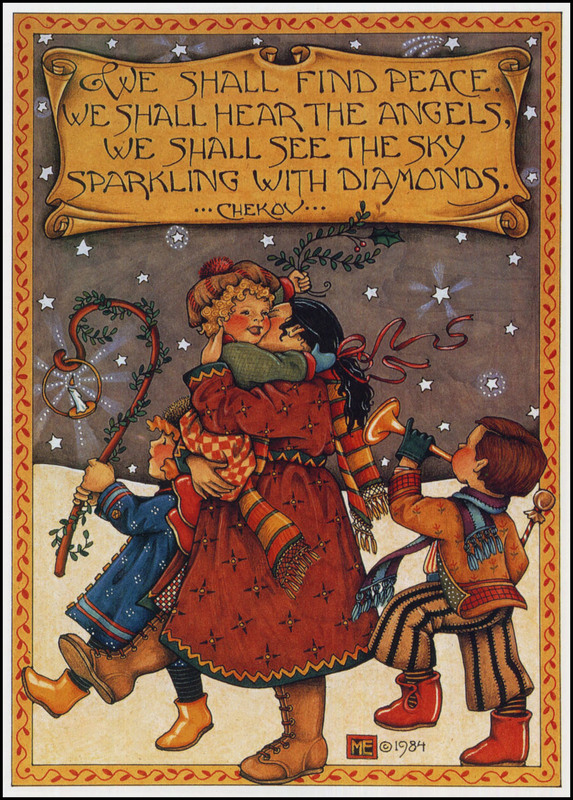 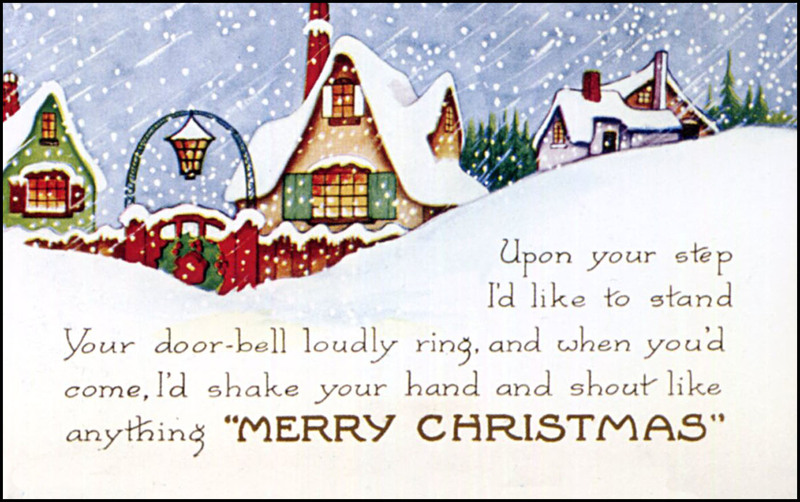 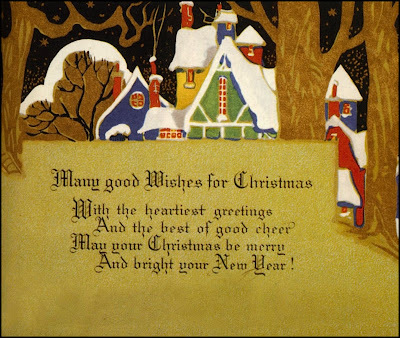 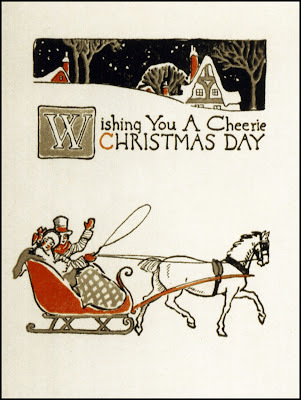 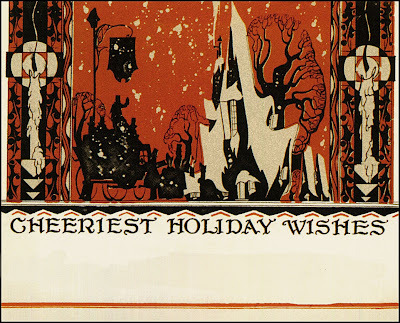 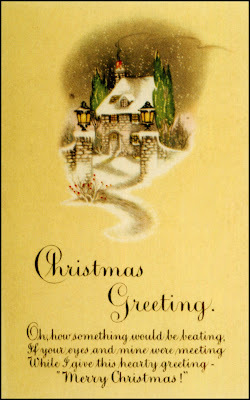 This card by Mary Engelbreit seems appropriate for between Christmas and New Year's. And I loved the new Chekov in the last movie . 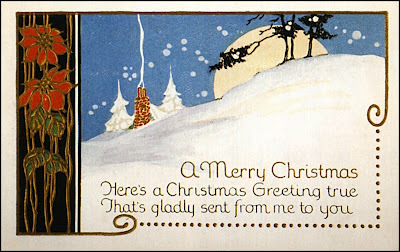 . . oh waitaminnit . 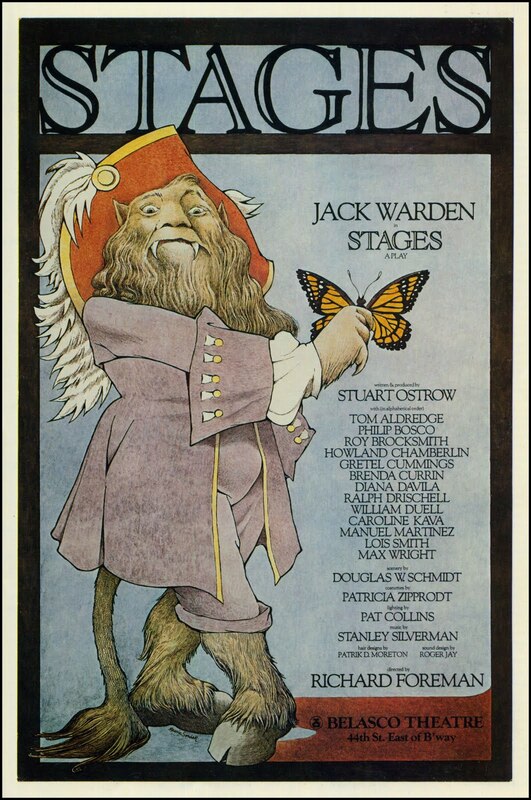 . . wasn't there a writer or somesuch with that name? 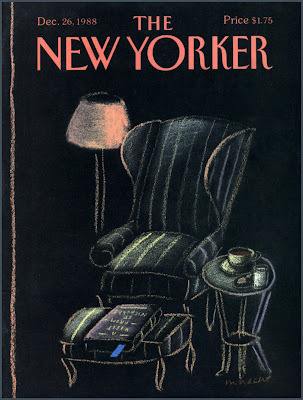 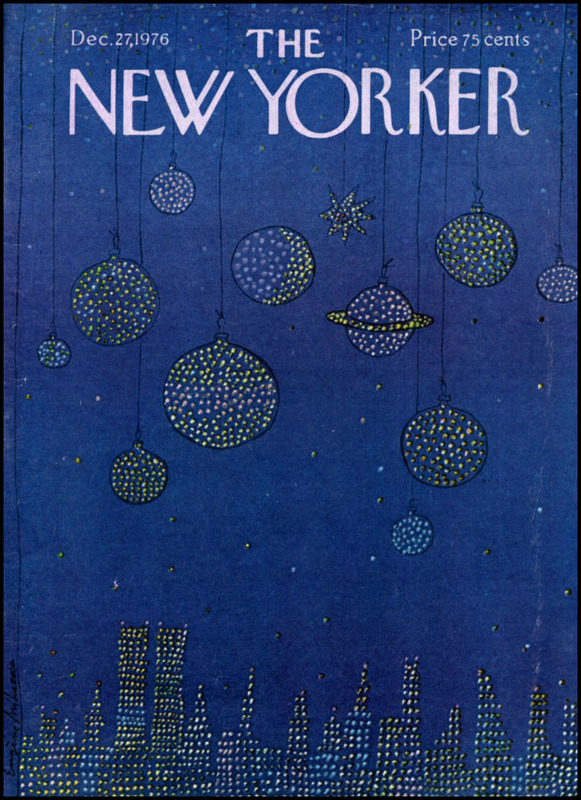 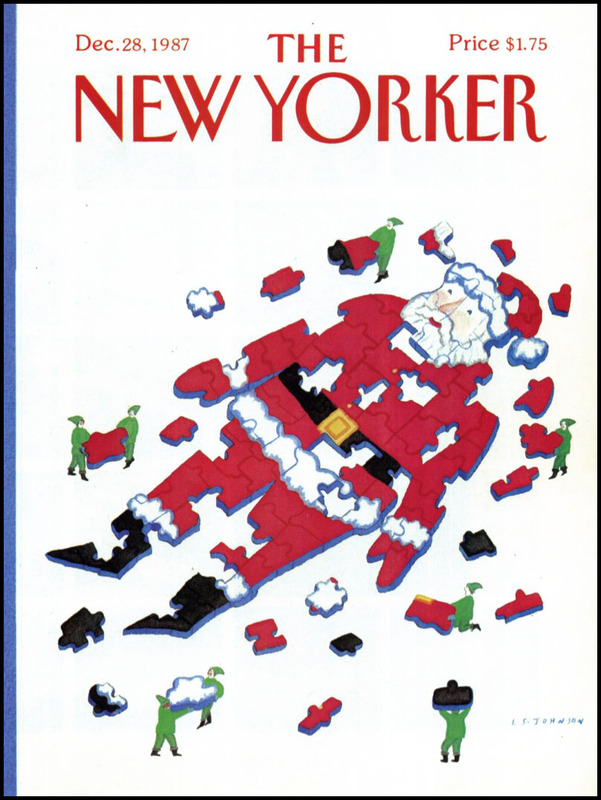 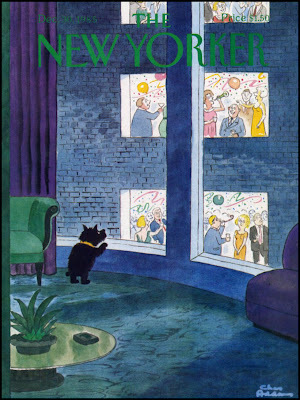 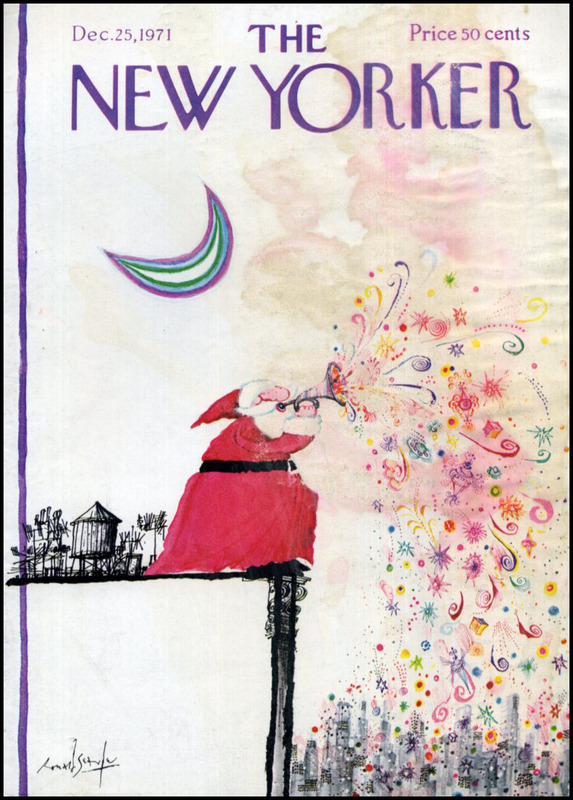 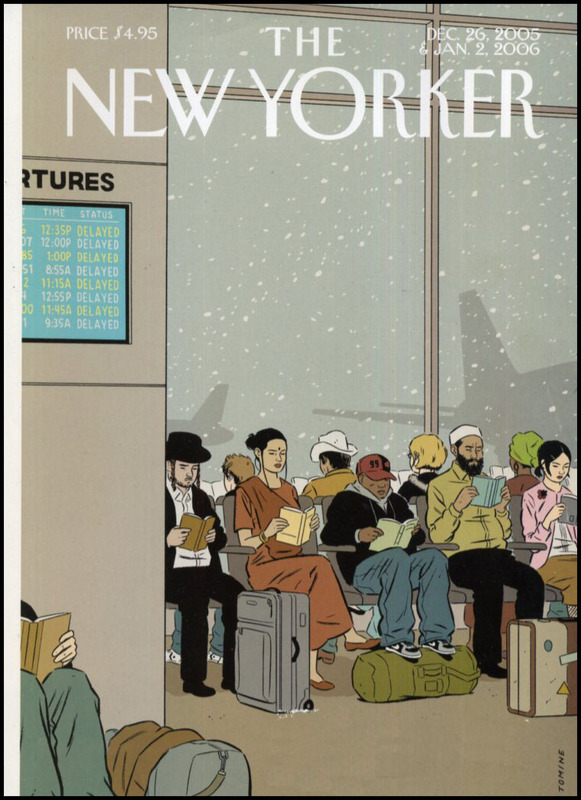 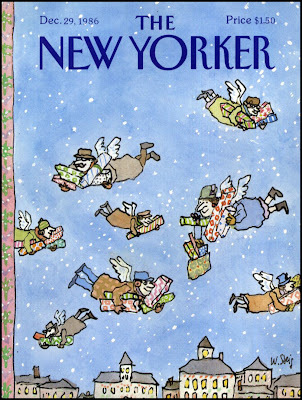 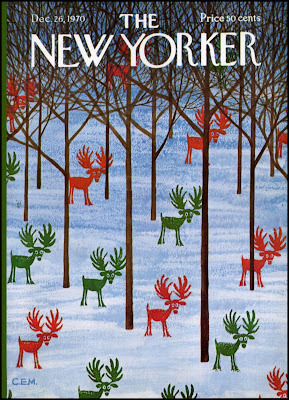 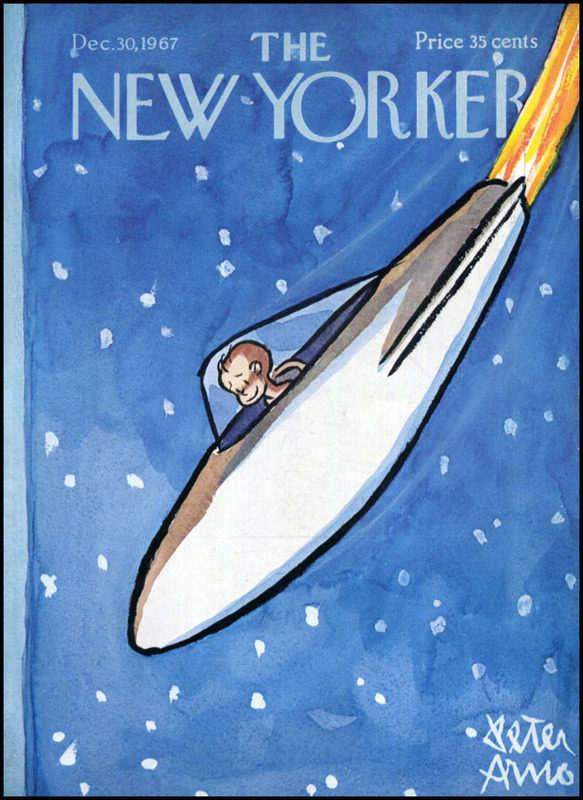 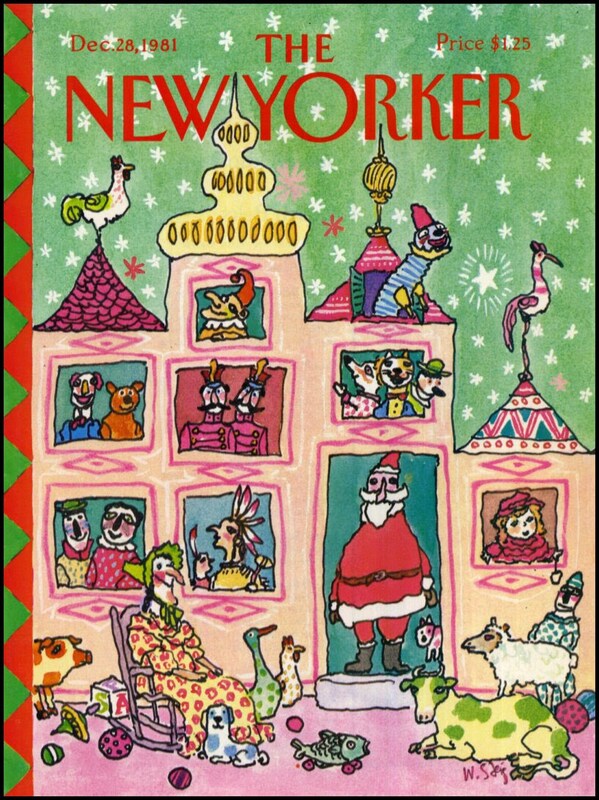 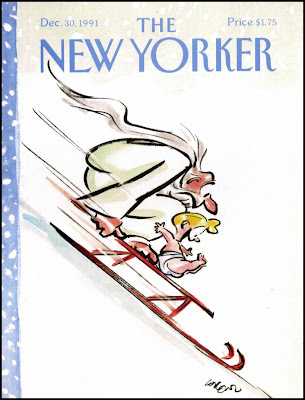 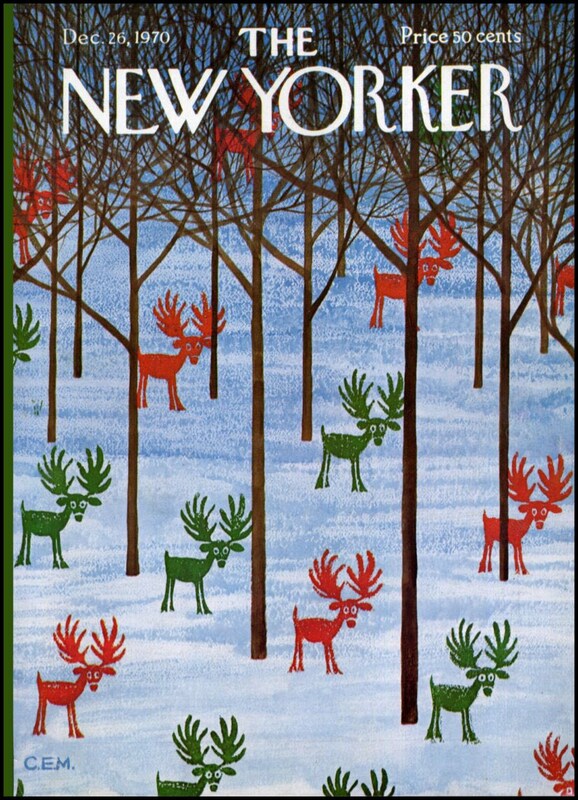 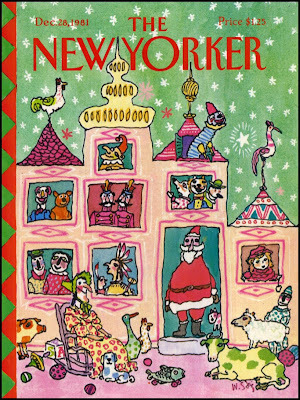 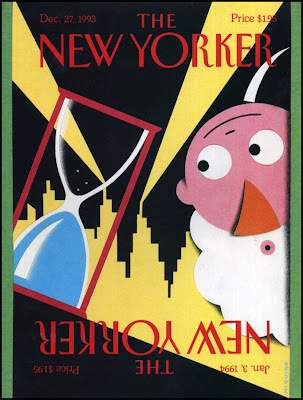 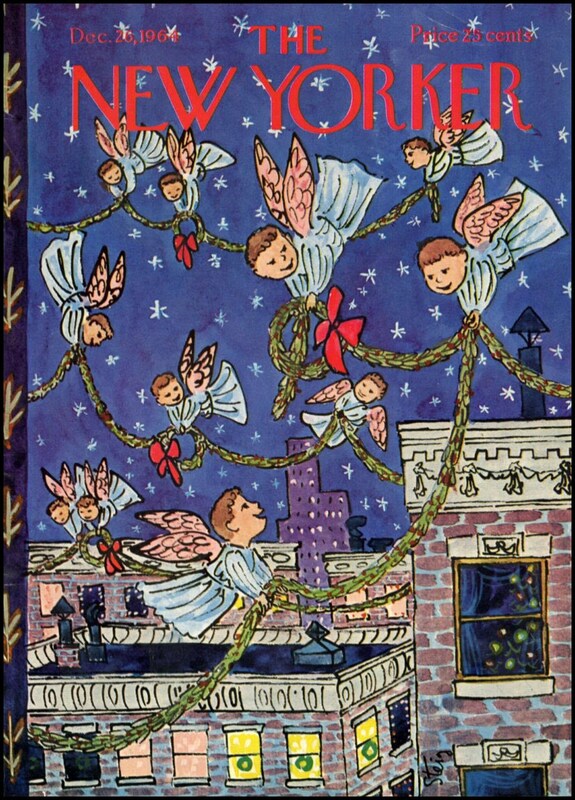 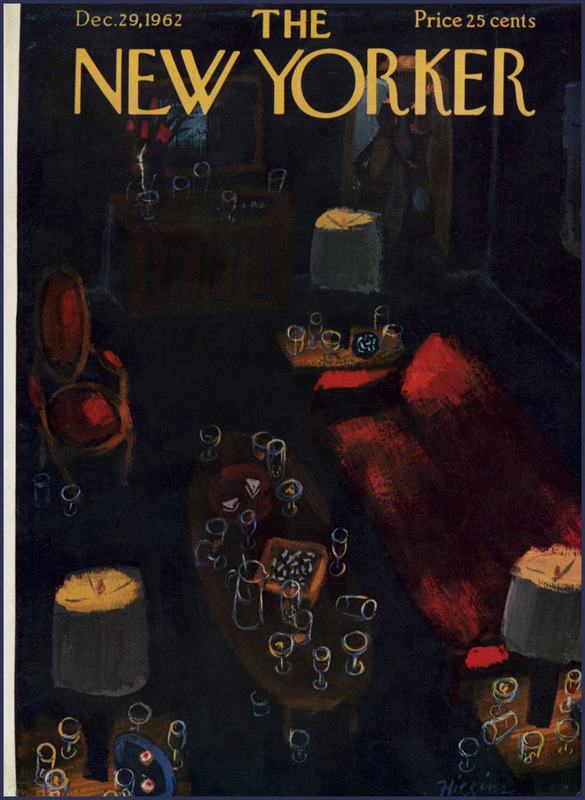 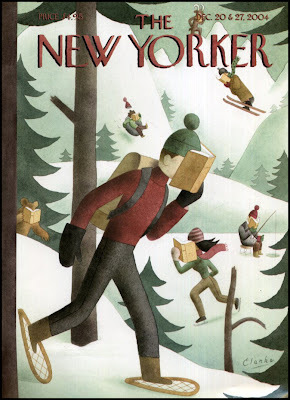 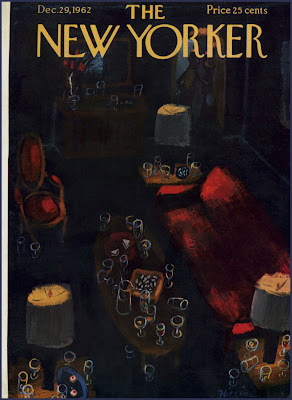 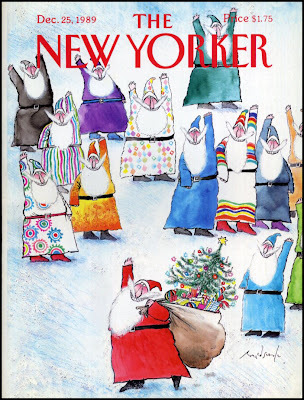 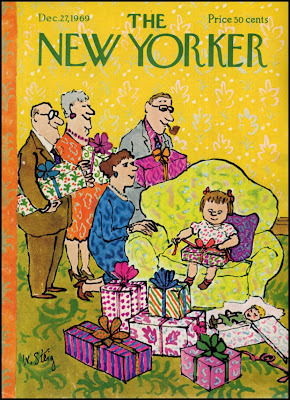 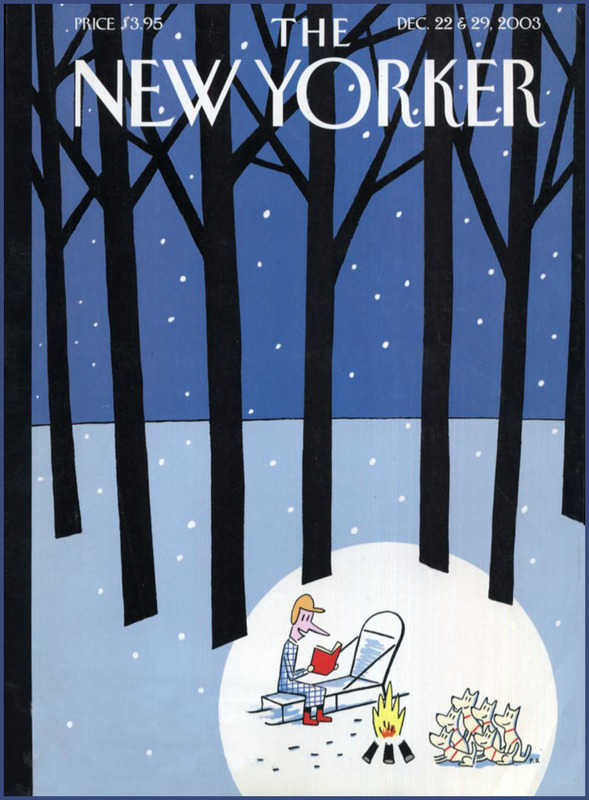 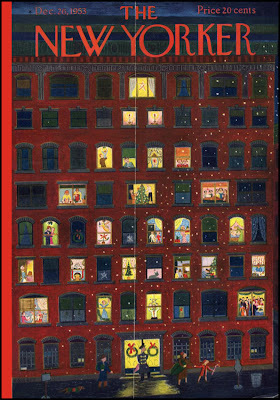 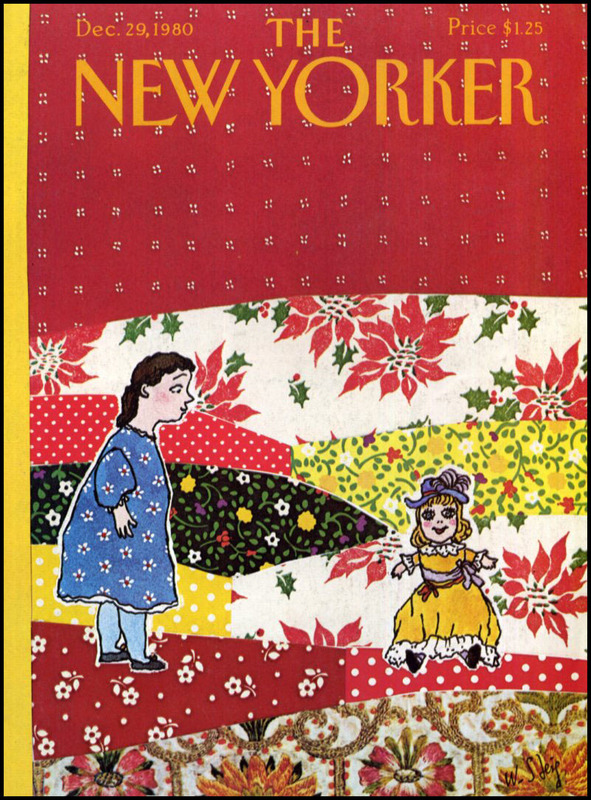 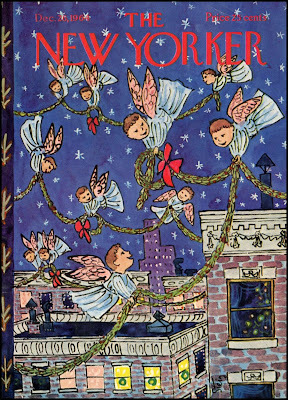 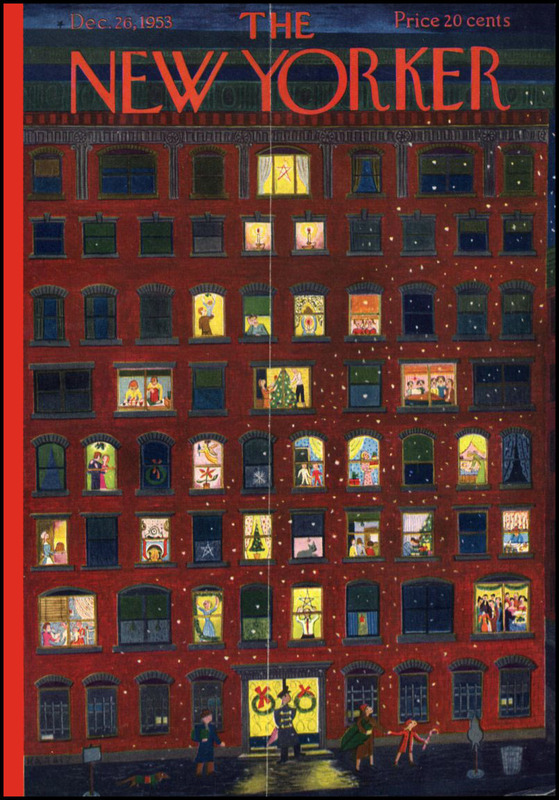 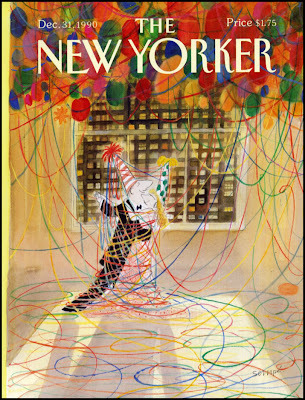 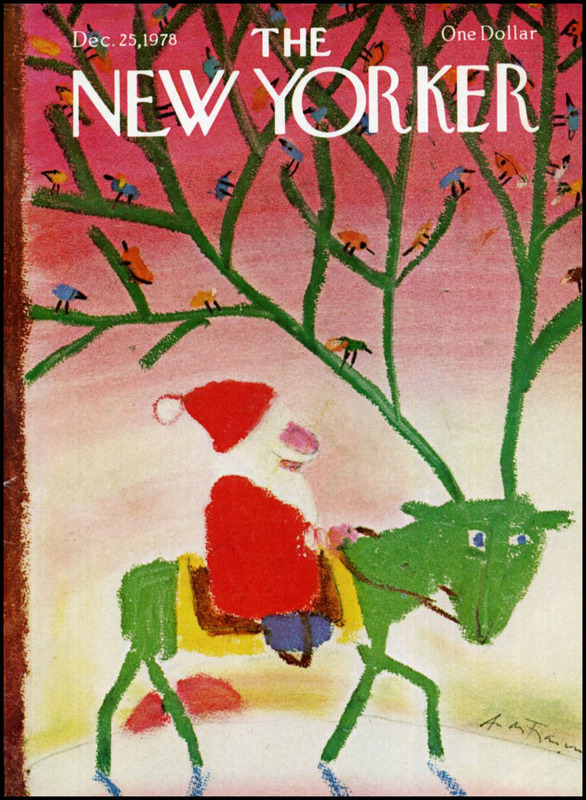 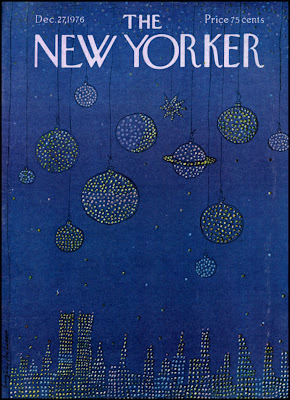 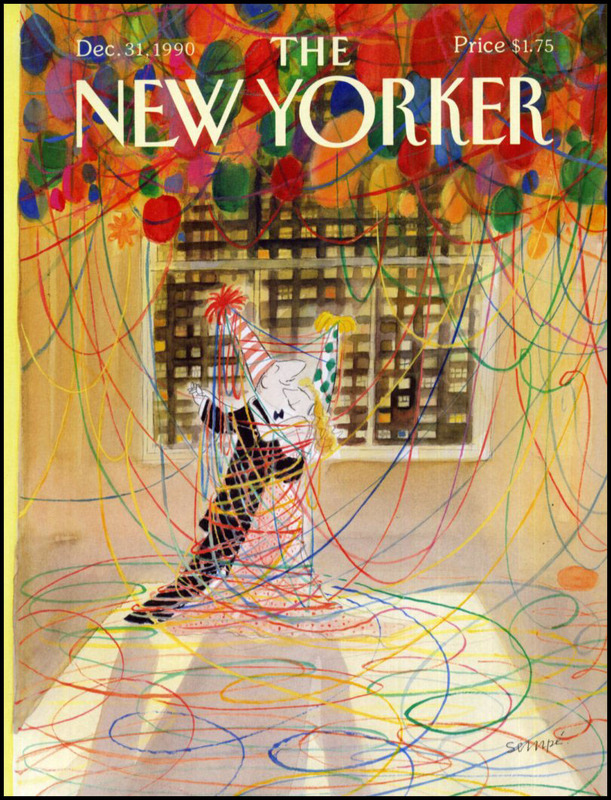 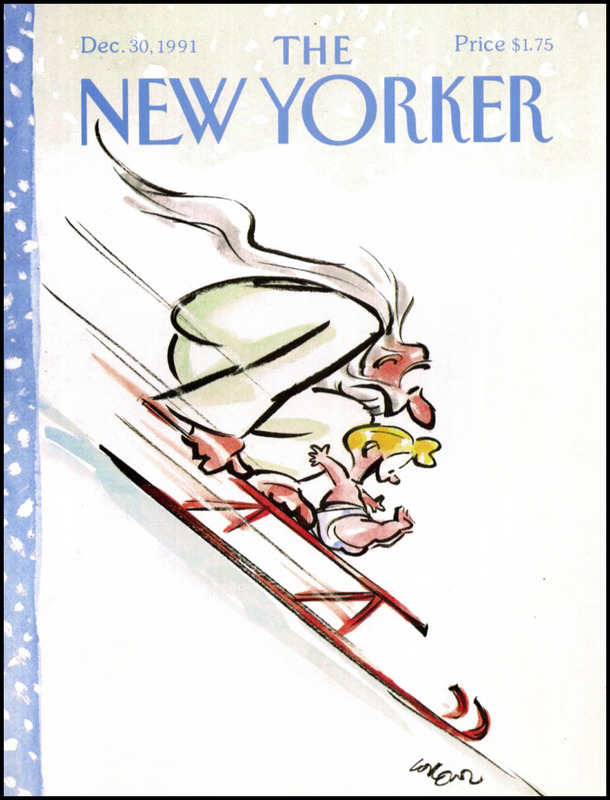 Maybe you think cuz Christmas is over that I'm through posting the New Yorker covers. No sir, think again. 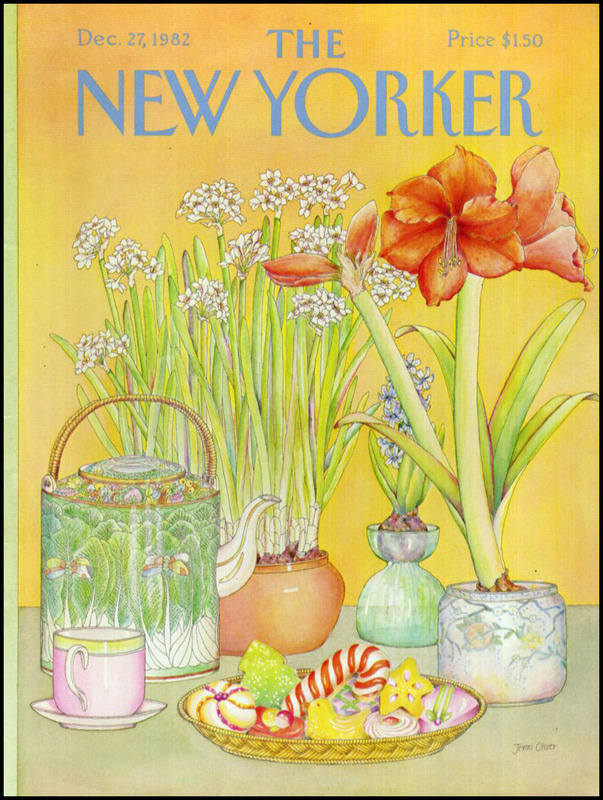 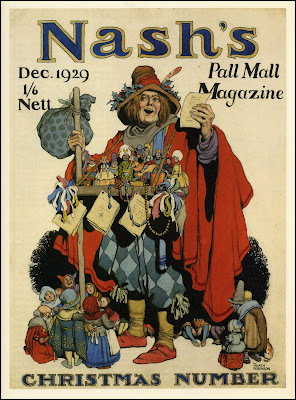 Because of the magazine's publishing schedule, sometimes the cover date shot a bit over the holiday date, but still had holiday art. 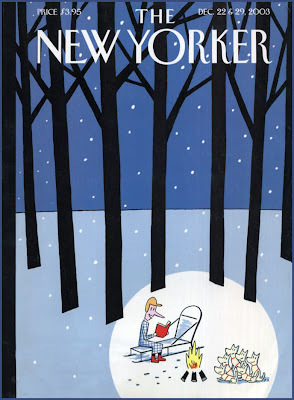 And sometimes, in the later years, two weeks would be combined into one, with two cover dates. 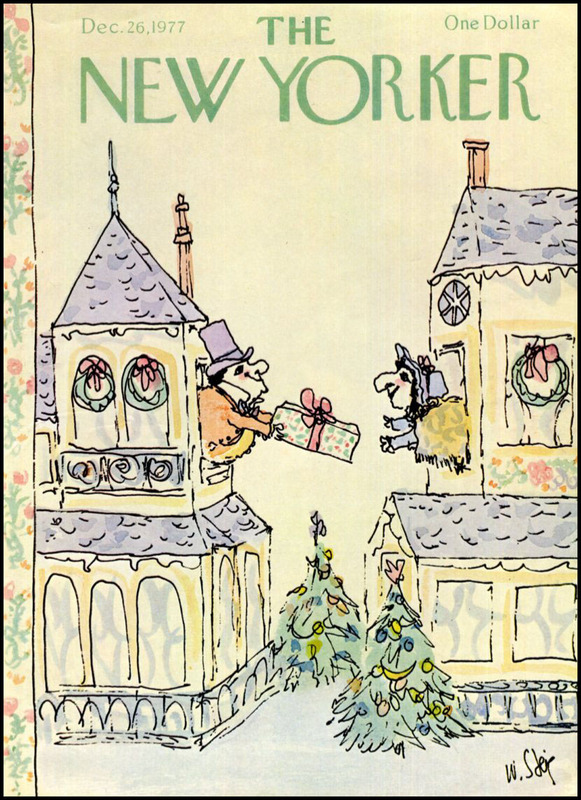 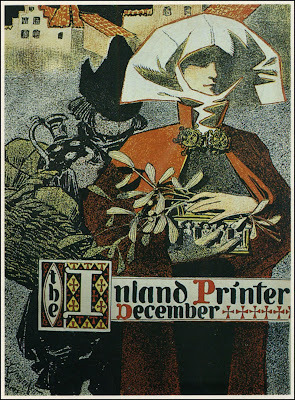 And besides, New Year's is coming up, as you well know, and there's plenty covers covering that theme. 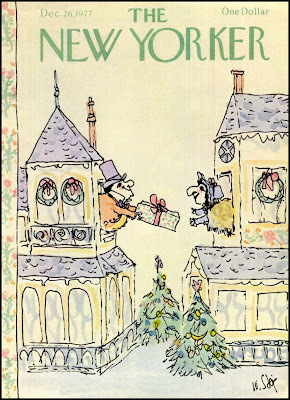 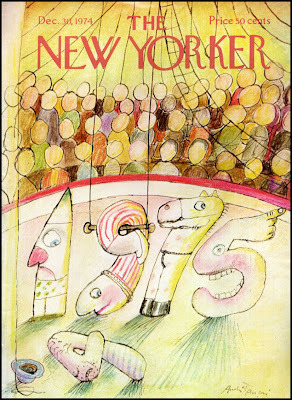 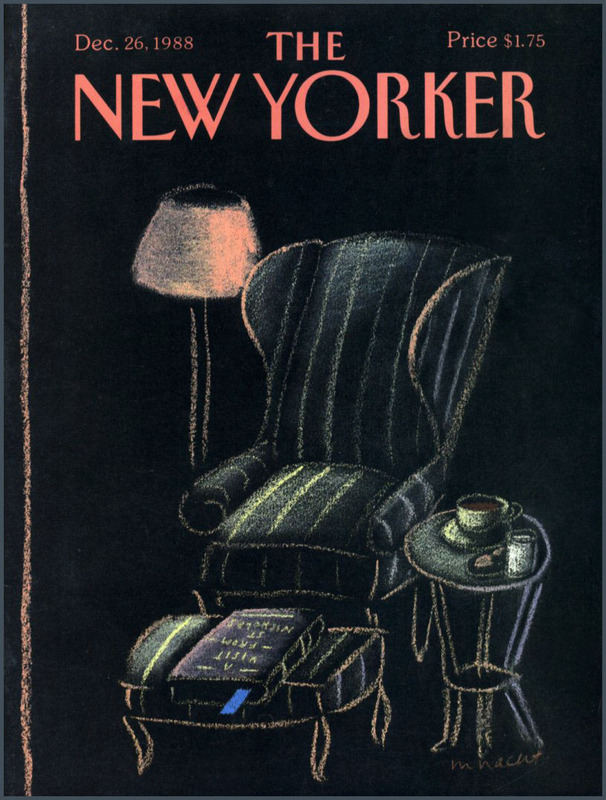 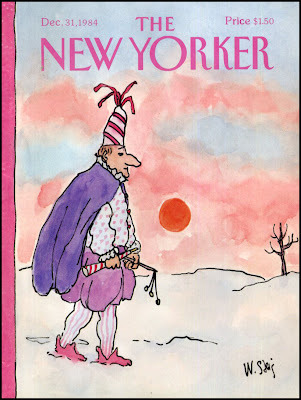 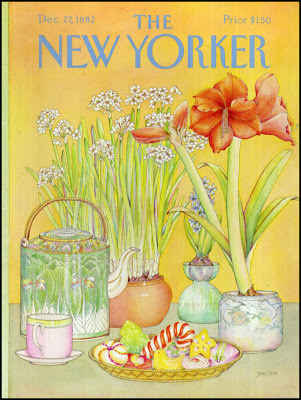 Have I mentioned how I especially love the William Steig covers? 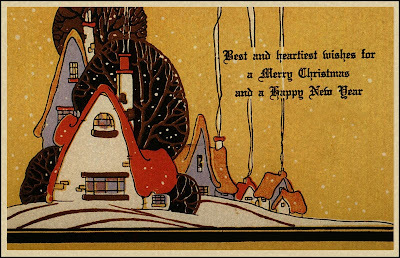 Happy holidays to all my cyber-friends around the world! 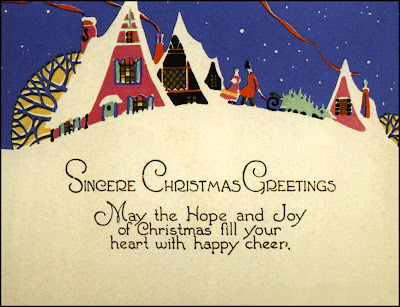 May all your days be filled with comfort and joy. Thoughts of home, all warm and comfy, are with so many people at this time of year. 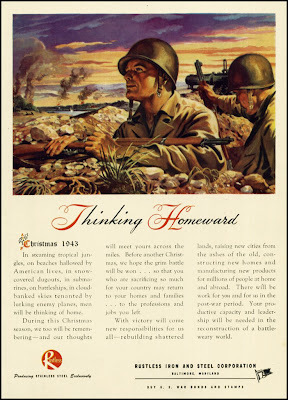 The ad below addresses the hopes of those in service, true today as it was in 1943. 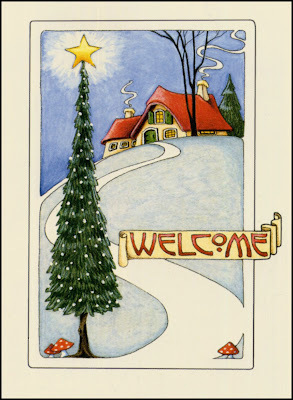 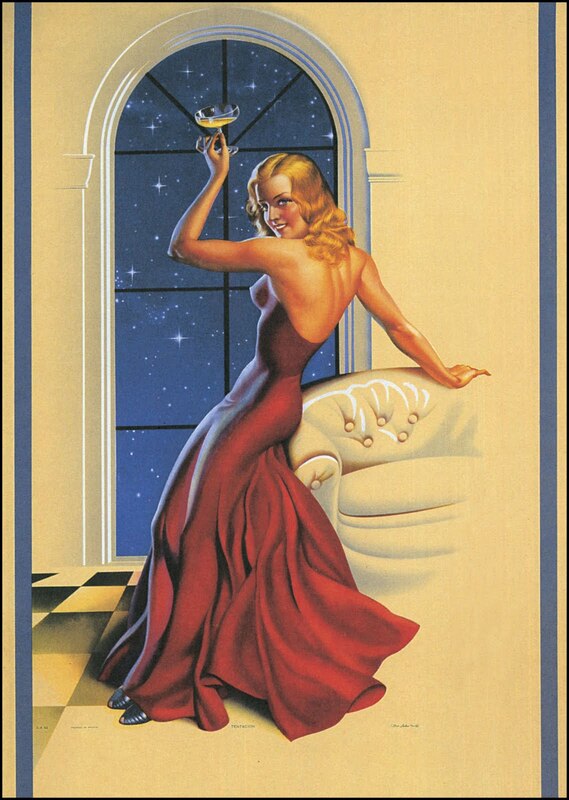 Below, a modern card by Mary Engelbreit, seemingly inspired by cards like those above.